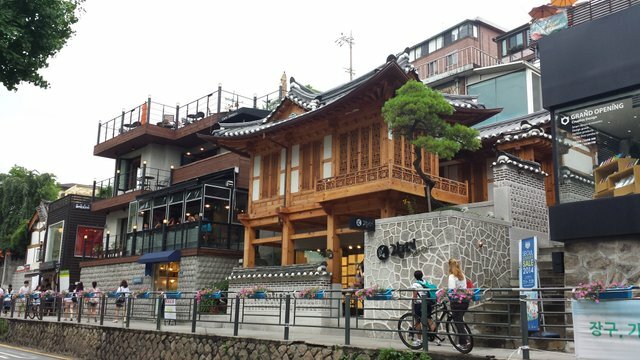 Seoul is a land with a strange attraction for anyone who has ever or never once came here that I am sharing here with you all. 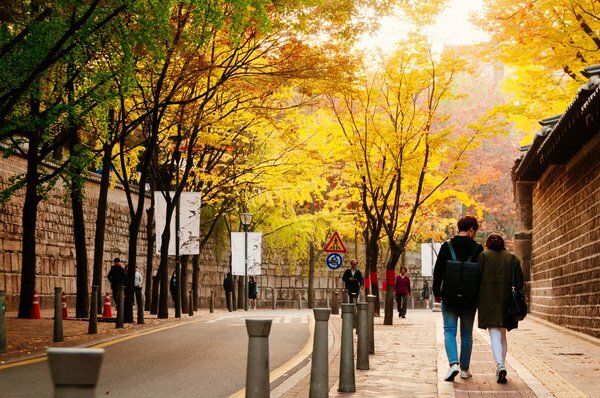 Nothing fun and excitement to by strolling walking around the streets of Seoul when traveling in Korea, especially when at the time of the fall - stroll watching the red gold lingering around is a cover wonderful experience. 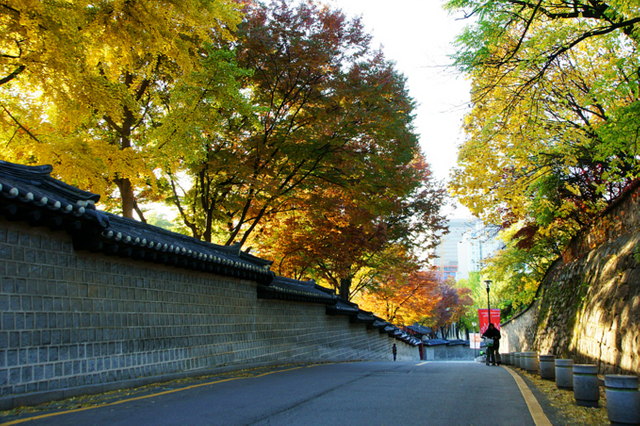 A place very beautiful suitable for walking scenic Seoul stone path romantic Deoksugung Doldam - gil has a length of 900 meters, is located next to the Deoksu, this road along the stone wall surrounding the provision Deoksu . Space peaceful tourist destination is ideal for travelers seoul chat and dating the center of the pair. In autumn, the leaves yellow almond banks adorned romantic atmosphere of the steps on this road duong.Dao, visitors will encounter a lot of cultural works with architectural mix of traditional and modern create exciting highlights of your trip. 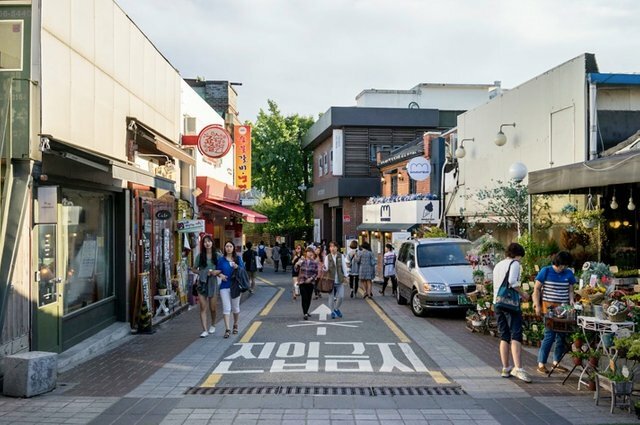 If you feel tired with the loud sounds of the city and want to be relaxed to find a quiet, please come to the neighborhood Samcheong-dong, and you'll feel a space completely different, a small neighborhood very peaceful, absolutely not noisy. An ideal place to get away from the hustle outside, a fun place to enjoy a peaceful living space. 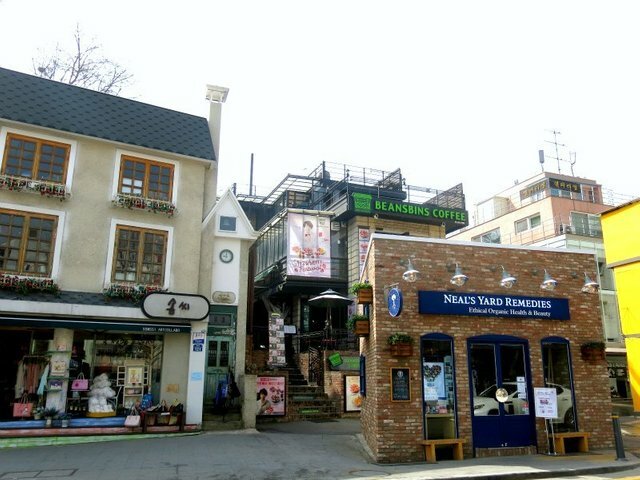 To Samcheong-dong, you will easily see quite a lot of old houses, the shops bold old moss over time, but still carry the breath of nostalgia and modernity. Take a look at a certain shops sipped hot coffee sitting relaxed to enjoy the quiet here, you will find the warmth and tranquility deep in the soul. 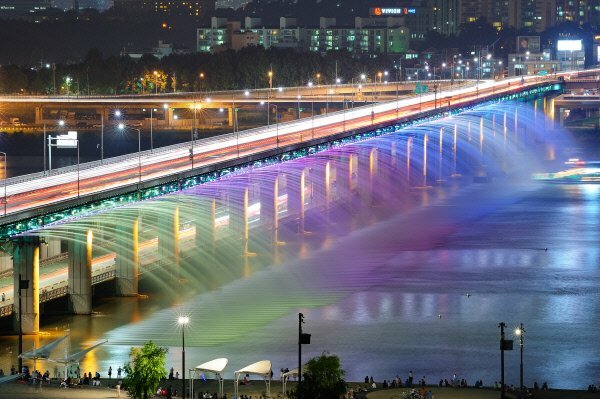 Brilliant accents make the bridge became known as integrated systems with nearly 1000 fountains faucet, the same system colorful LED running along two sides of the bridge. 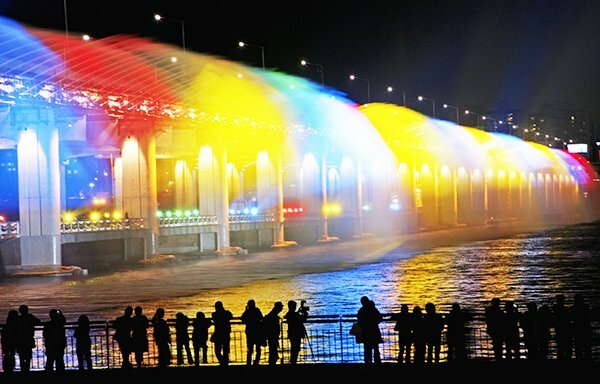 Bridge becomes incredibly beautiful as the night slowly falls, the night the system LED with about 200 units are open, projector lights colorful harmony with the water jet is ejected from the nozzle creating a rainbow effect in beautiful magical night, shine light down the river, a space like in the fairy world so colorful. Admire the shimmering beauty of the bridge when the river banks stand is a memorable experience. 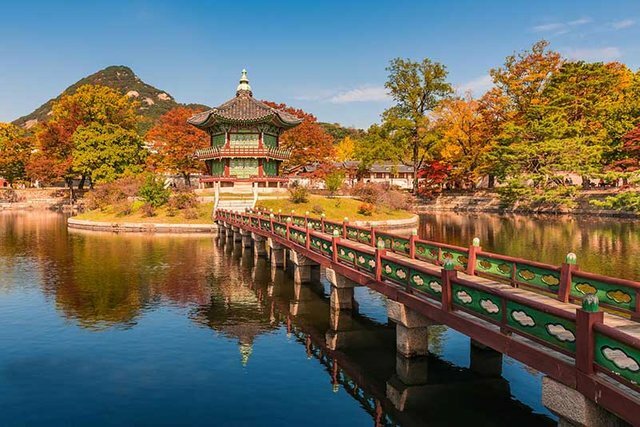 So do not skip a tourist destination seoul very wonderful.